Dog bite expert opinion about a vicious attack on a 4 y.o. by a police canine in CA. 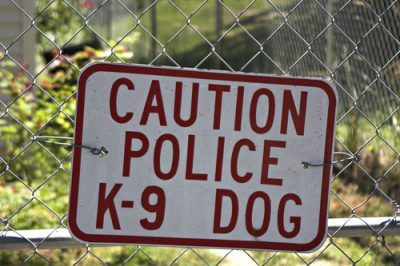 I have been frequently called upon to testify about the inherently dangerous nature of police canines as a dog bite expert. And I have opined about the difficulty K-9 handlers have in controlling these kinds of dogs. Not surprisingly my testimony has been questioned by the handlers themselves, who at times serve as opposing expert witnesses. Canine handlers always portray their dogs as highly trained “partners”, trustworthy, predictable, compliant, and extremely reliable. From the perspective of an animal behavior, there is a good reason to question this ensconced belief held by police dog handlers. I have reported many instances which suggest otherwise. One recent example of the unpredictable and inherently dangerous nature of attack-trained police canines was shown in the vicious, unprovoked attack on a four-year-old boy in Hesperia, California on February 8, 2015. Below I will offer my expert opinions about this tragic incident. In his instance, a six-year-old, Belgian Malinois, named Jango, nearly killed the son of the dog’s handler (a police officer with a Rialto, CA Police Department). Jango, like many Belgian malinois used as police canines in this country, was born and initially trained in Holland before being sold for import to the United States. The fact pattern of the incident, according to news reports, was as follows: The father returned home and released Jango from his kennel and proceeded to place him in the backyard to relieve himself. The father had just returned after being absent from his home for about two days. After releasing Jango into the backyard, he went to shower, leaving his four-year-old son unattended downstairs. The mother was not home because she had gone shopping. The boy then gained access to the backyard by opening the sliding glass door. Speculation is that he went looking for his mother. Jango attacked the child. He started screaming which alerted neighbors. Shortly thereafter neighbors arrived, but they had to knock down the backyard fence to gain access to the dog. Jango had the leg of the boy in its mouth and was shaking it. One of the neighbors started kicking the dog but this had no effect on the dog. One neighbor then pried the mouth of the dog open and Jango released the leg of the boy. The father came to the scene and placed the dog back into its kennel. The boy was airlifted to local hospital. His leg was amputated just below the knee because of severe vascular damage. There remain many unanswered questions from my perspective as an expert in dog behavior. In particular, why did the father leave his four-year-old child unattended in the house knowing that this attack train police K-9 was alone and unsupervised in the backyard? Why didn’t he lock the sliding glass door knowing that four-year-old children are prone to explore and wonder? How long had Jango had been in his kennel during the two-day absence of the father? my opinion is that prolonged confinement in a kennel for a dog like this might have enhanced this dog’s tendency to attack a child he did not know that well. News stores published online reported that preliminary investigation by the Rialto Police Department indicate that the child had been left alone only for about two minutes before the attack happened. The attack probably lasted for about two minutes. Rialto police Capt. Randy DeAnda was quoted as saying that Jango had no history of aggression, he received regular training and his record of a service dog was “impeccable”. According to DeAnda, he had no understanding of why the attack happened. Quite frankly, I find this explanation difficult to believe. Certainly, the father probably was in a state of disbelief regarding the actions of his trusted canine partner. Nonetheless, from my perspective on animal behavior, the opinion I hold is that the incident was foreseeable given the nature of these kinds of dogs. This incident was no “accident” as the police were quoted as saying. Captain Randy De Anda remarks about the dog having an impeccable record buttresses my belief that even the best-tempered and best-trained police dogs may at times be unpredictable. For my perspective in animal behavior, I cannot escape the opinion that this was a foreseeable incident given the genetic background of this Belgian Malinois, the kind of training it likely received, and the way these kinds of dogs are kept and used by canine handlers. The bottom line opinion: the attack by Jango on this child is another example supporting the belief that police canines are frequently unpredictable and inherently dangerous by nature. 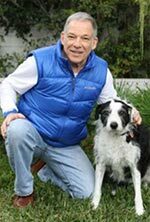 Richard Polsky, Ph.D. is in animal behavior expert witness from Los Angeles California. He has testified on many occasions about the unpredictable nature of police canines.